Steve Bruce seems to have spent most of the week moaning about one thing or another, and his gripes may have hindered his side’s preparation for Saturday’s trip to Blackpool. Blackpool’s win against Liverpool has masked their current poor run of form – four defeats from five games – and a tight game should be expected at Bloomfield Road. Just three and a half weeks ago Blackpool were defeating Sunderland 2-0 at the Stadium of Light, and the Tangerines are 8/5 to win and 8/1 to repeat their 2-0 win. Sunderland are also 8/5 to win but have just one fit striker in Asamoah Gyan and having lost to Blackpool earlier in the season, it’s difficult to make a case for them travelling to Bloomfield Road and winning. But canny punters may want to take advantage of the 12/5 available for the draw considering Blackpool’s poor form and Sunderland’s lack of strikers. Blackpool have the sixth best attack in the Premier League but are taking on the fourth best defence and a 1-1 draw looks the most likely scoreline and is priced at 11/2. 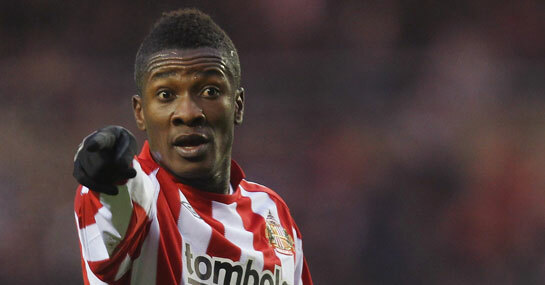 Asamoah Gyan has to be the best bet to get Sunderland’s goal and is 6/5 to score any time, while DJ Campbell, who has five goals in his last six league matches, is 7/4 to score any time. The draw is clearly the best bet in the Premier League odds and with Blackpool’s games averaging the most goals in the league, it’s unlikely to be a stalemate leaving both teams to score looking decent value at 8/13. It also means one team will have to come from behind to save the point and both are available at 13/2 to come from behind and draw, although Blackpool seem the likelier side to score first. A £25 stake on the game ending 1-1 but DJ Campbell scoring first 30/1 would return £75. New customers can sign up here for a free £25 bet.